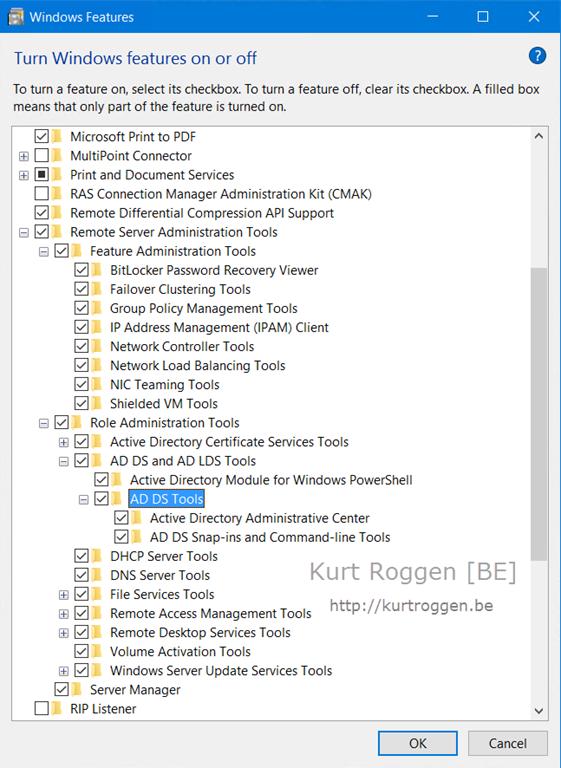 Remote Server Administration Tools (RSAT) for Windows 10 lets IT administrators manage Windows Server 2016 Technical Preview 5 from a remote computer running Windows 10. Remote Server Administration Tools for Windows 10 includes Server Manager, Microsoft Management Console (MMC) snap-ins, consoles, Windows PowerShell cmdlets and providers and command-line tools for managing roles and features that run on Windows Server 2016 Technical Preview 5. NOTE: When you are having troubles installing RSAT (on a Windows 10 machine without en-US language pack), have a look at this blog post here. This entry was posted in RSAT, Windows Server 2016 and tagged RSAT. Bookmark the permalink.